Salt : 1 1/2 tsp. In a bowl, combine the yeast with sugar and 1/4 cup lukewarm water, stir and set aside for 10-15 minutes to froth. In a big wide bowl, take the flour and salt, give it a good mix. Add the frothy yeast mixture and knead adding lukewarm water little at a time, till you use up 1 cup of water. Stretch and knead the dough till smooth and elastic. Cover with a damp kitchen cloth and set aside till it doubles in size. After it doubled in size, knock back the dough, can use little dry flour if you see the dough has become little soggy. Knead some more and make a soft dough. Divide the dough into equal size balls. Shape them into smooth round balls. Place the balls touching each other on a greased baking tray, cover with a damp cloth and set aside for 15 minutes or till they doubles in size again. Preheat your oven to 190 degreeC or 375 degreeF. Place the baking tray in the oven. Brush the top of the roll with melted butter and bake for 25-30 minutes. 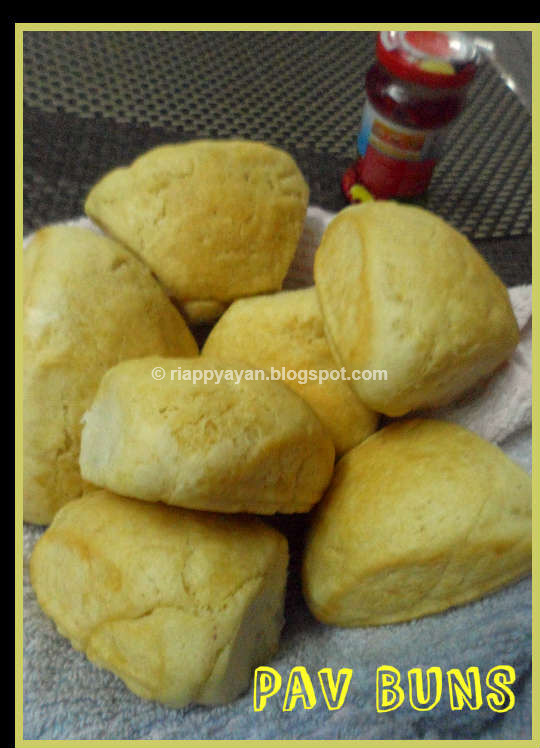 The rolls should be light golden brown on top and very soft to touch. 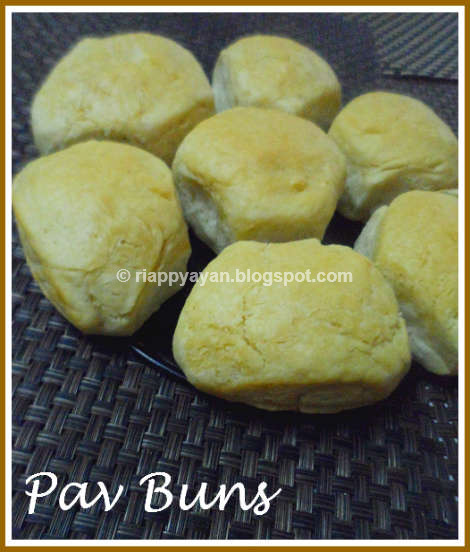 Remove from the oven and don't forget to brush the top of the buns with melted butter again, this will keep the buns soft for long time. Place on a wire rack to cool. 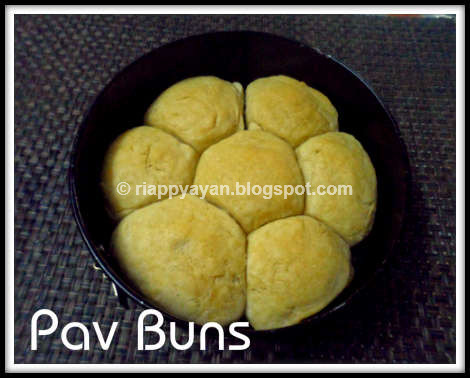 Enjoy the buns in breakfast time with butter or jam or dinner time with some bhaji, that's completely your choice. After the buns cool off, keep inside an air-tight container for up to 2-3 days outside refrigerator. 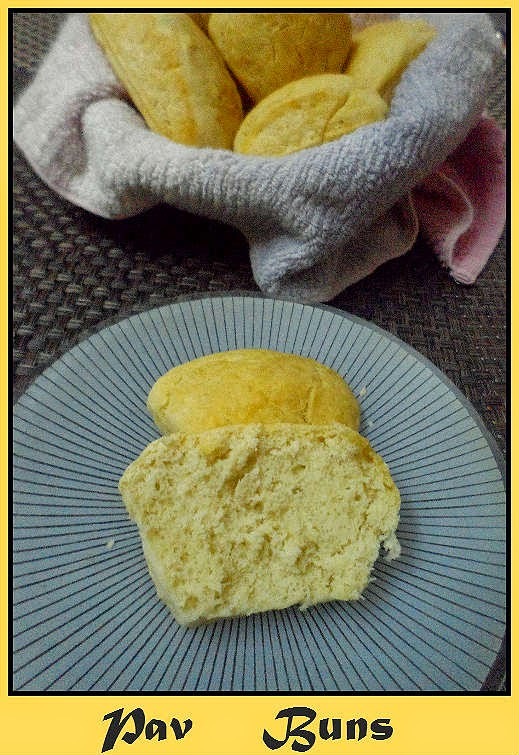 Brush the top of the bread with melted butter again after taking them off the oven.This will keep your buns soft like a pillow even after one day. Once the baking bug catches you, you will want to bake bread every day at home. I love baking breads.